With rents for even the smallest quarters exceeding the equivalent of $1000 monthly, a relatively large number of working class people in Asia’s largest cities have become, essentially, homeless. Rather than being completely destitute, as many homeless are, a not inconsiderable number of these individuals earn enough to otherwise support themselves outside of being able to afford housing. To solve the problem of lack of funds for more traditional accommodations, many have turned to 24-hour establishments for a place to spend the night and catch a few Zs, including, in particular, McDonald’s and Manga cafes. The McDonald’s crowd is particularly prevalent in China and Hong Kong, where they are sometimes called McRefugees or McSleepers; photographs of people slumped over in booths or on table tops, surrounded by the remains of their purchases, abound. Hong Kong is a particular difficult place to find affordable housing, as between 2008 and 2015 prices have grown by 130%. Today, according to Expatistan, rent for a 480 square foot studio costs between HK$22,867 and HK$15,150 (roughly $1900 and $3000) a month. In 2015, Hong Kong was estimated to have around 1,000 McRefugees, though it’s noted that official government numbers here are likely massively underestimating the extent of the problem. On that note, the working homeless situation came to the forefront that year with reports that a middle-aged woman lay dead in a McDonald’s for seven hours before anyone bothered to check on her; employees thought she was sleeping. Tokyo has a similar issue with monthly rent for a similarly small studio ranging from ¥96,000 to ¥185,000 (about $850-$1640). However, the reports from Japan are ever so slightly less disheartening, as it appears that its working homeless have cobbled together a somewhat more comfortable combination of all night businesses in which to sleep. In fact, as far back as 2007, it was reported that approximately 5,400 Tokyo residents spent at least half of their weeks staying in internet cafes; more recently, Manga Cafes (so named due to the addition of extensive manga libraries on the premises) have become very popular. More comfortable than McDonald’s, at least, customers at manga cafes enjoy a private booth with a computer, unlimited internet, access to a DVD and manga library and a reclining, office-style chair. Soft drinks are usually provided for free, while food (generally of the greasy variety) is available to purchase at modest prices. For reference here, the fee for a cubicle in one of these establishments generally ranges from around ¥1400 to ¥2400 ($12-$21) for up to 12 hours. As you can imagine, however, sleeping in such accommodations isn’t exactly the most comfortable thing in the world and chronic back pain tends to be the name of the game for many of these individuals. For those who can splurge on occasion, however, to round out their weeks, some of these cyber-homeless rely on other reasonably priced all night services for a slightly more restful night’s sleep, such as capsule hotels. 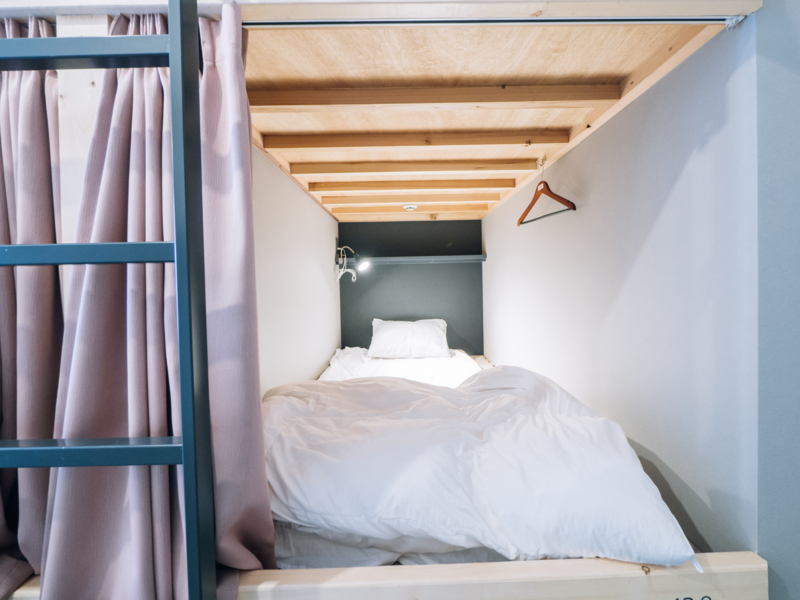 Not for the claustrophobic, for the equivalent of about ¥3000 to ¥6000 (roughly $25-$50) a night, at a capsule hotel the lodger receives an encapsulate bunk bed along with access to communal locker rooms and bathing facilities. Another option Tokyo’s working homeless sometimes turn to are public baths, which can cost anywhere from a few hundred to a few thousand yen a night (roughly a few dollars to $40). 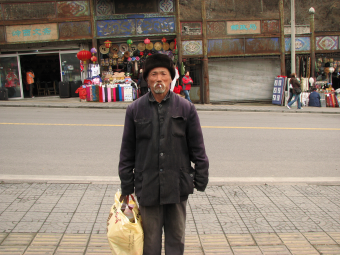 Of course, working homelessness isn’t unique to Asia’s large cities. While solid statistics are hard to find, it is estimated that among America’s 3.5 million people who experience homelessness each year, about 25% of them are employed at the time. In New York City alone, it is estimated that 60,000 of its residents are homeless; many attribute this to a housing crisis fueled by gentrification and the loss of 150,000 rent-stabilized apartments. And of those who have homes, today more than 50% of NYC residents spend more than 1/3 of their incomes on rent, which averages in excess of $3,000 monthly. Similarly, other European countries are also seeing rapid increases in their homeless populations, with the number of families seeking temporary housing in London increasing by 50% since 2010, and youth homelessness in Copenhagen increasing by 75% since 2009. As with the problem in NYC, most blame the cost over-burden from a broken housing market (in Germany, 16% spend more than 40% of their incomes on housing). “not inconsiderable”, so – considerable then. Lose the double negatives. I think there’s a subtlety of nuance intended there. I think that “considerable” is too strong a value; it implies “most” or “majority of” where the author may have intended to convey “some, but by no means all” In this instance, using double negatives dilutes the strength of the term, conveying a more nuanced impression of the numbers involved without looking like she was employing hyperbole.